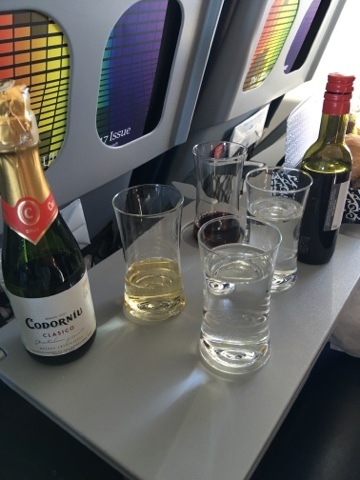 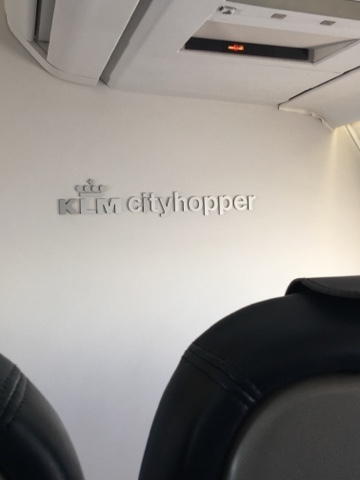 The Fokker has a three and two seat configuration with the standard European seat blocking in Business Class, making the middle seat tray table useful to hold beverages. 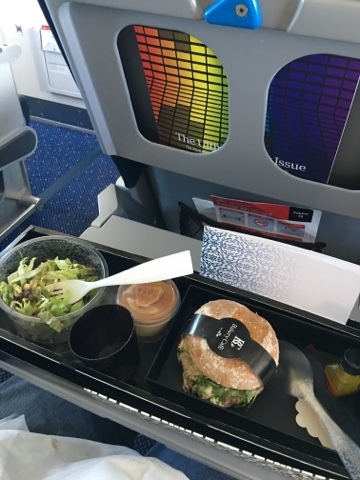 The lunch was tasty on this 90-minute flight and included a choice of four or five sandwiches - not bad! 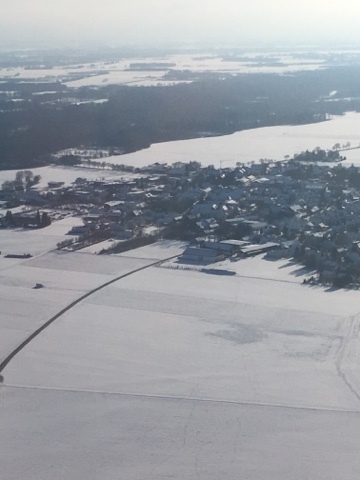 Almost before we knew it, we were spotting villages outside Munich.